Remember how much fun it was to play with a ball when you were a child? And it still is. Using an exercise ball is a challenging way to add variety and fun to your workout. 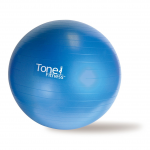 Exercise balls are awesome for developing balance and stability – but not only. Exercise balls can add fun and challenge to your workouts. Exercise balls are known by many names, including gym balls, Swiss balls, fitness balls, physio balls, yoga balls, Pilates balls, therapy balls, and others. They are generally made of soft elastic and are filled with air, and they range in diameter from about 14 inches to up to 35 inches. Exercise balls are used for physical therapy and a wide range of exercises including stretching, Pilates, yoga, and even weight training. They have even received attention as a replacement for desk chairs, since they promote good posture. 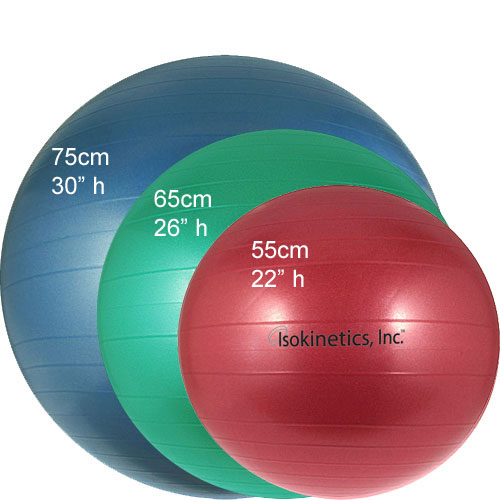 These exercise balls shouldn’t be confused with Medicine balls or toning balls, which are weighted. First, you can be guided by your height using the chart above. 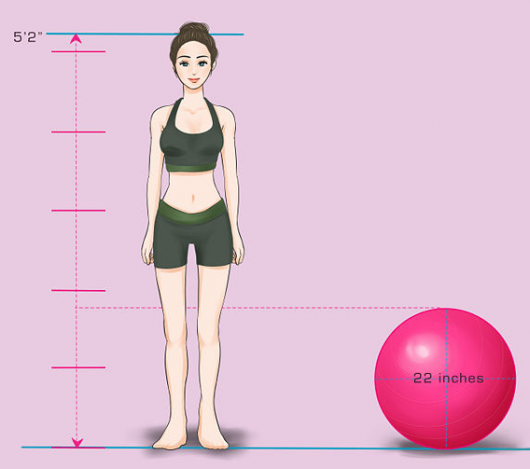 However, if your BMI is over 25 for your height, you might want to go a size up in order to get the correct resistance from the ball. The third element you need to keep in mind is comfort. The height chart is just a guideline, and you might feel more comfortable doing the moves with one a size up or another a size down. Chosing the right size for an exercise ball. We suggest you go to a local gym or try out a friend’s to get an idea of what feels comfortable for you. Remember to keep in mind what sort of exercise you will be doing with the ball. The movements you carry out may feel better with one size over another. Here is a full-body workout using an exercise ball. The best thing about exercise balls is that they are pretty much a one-size-fits-all piece of equipment. When you buy one, it can be used for almost all of the types of exercises that you can think of that use them. 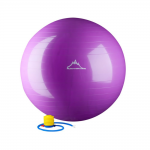 For example, if you get one for a new Pilates class you are trying out, but later migrate away from doing Pilates and go towards weight training instead, you can use the same ball. Once you learn how to use exercise balls correctly, they are generally safe. Remember, however, that they are balls, which can cause you to fall off if you get off-balance. If you have had an injury in the past, especially a spine injury, it is important that you consult with a specialist for guidance on whether you should start a regimen with exercise balls and what sorts of exercises you should be carrying out in order to avoid exacerbating the problem. Make sure your ball is not over or under filled with air, as this can increase your chances for injury. Remember to always read the manufacturer’s instructions before starting to use your new exercise ball. We have reviewed the three best exercise balls. 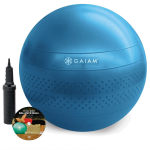 Solid deal from a reputable Yoga equipment manufacturer. Popular and great quality exercise ball.